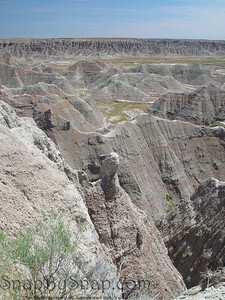 When you think of the old west, the landscape of the badlands is the perfect image. 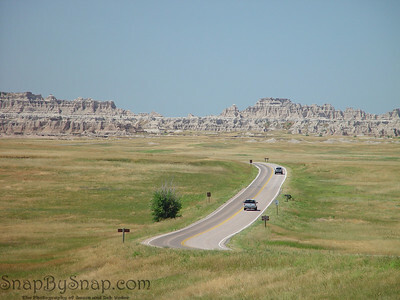 A road appears and disappears in Badlands National Park. 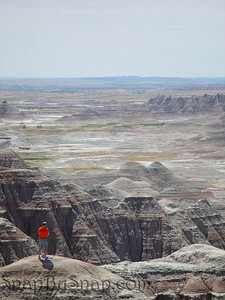 A men enjoying the rugged landscape of Badlands National Park. 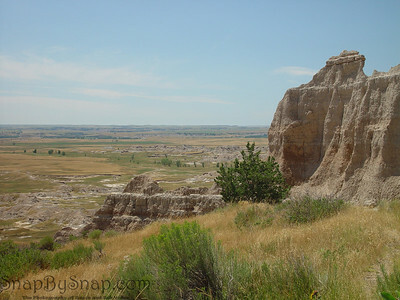 The rugged landscape of Badlands National Park. 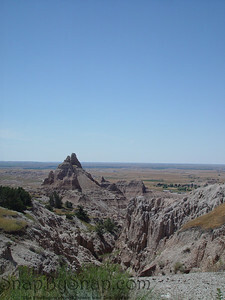 A cliff in Badlands National Park. 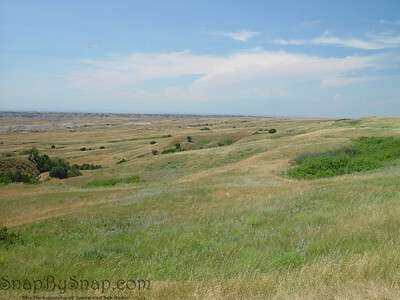 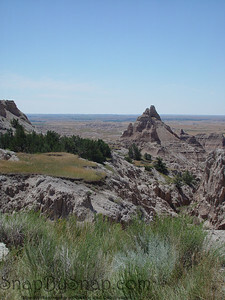 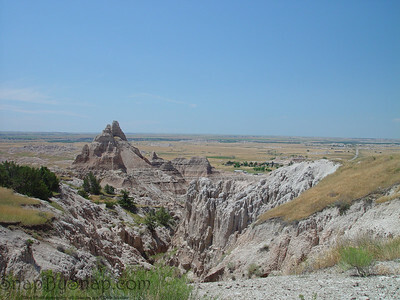 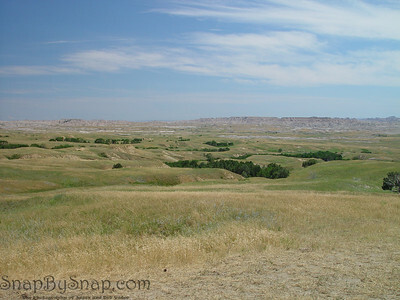 The South Dakota prairie in Badlands National Park. 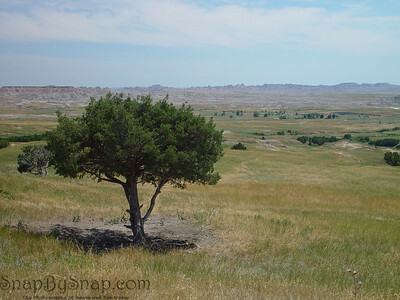 A tree in Badlands National Park. 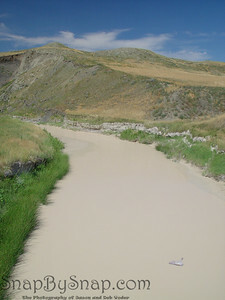 I white mud choked river in Badlands National Park.